Constance is a lively university town of 82,000 people and is located on the banks of Lake Constance (Bodensee). The city has a very attractive historic downtown area with medieval buildings. 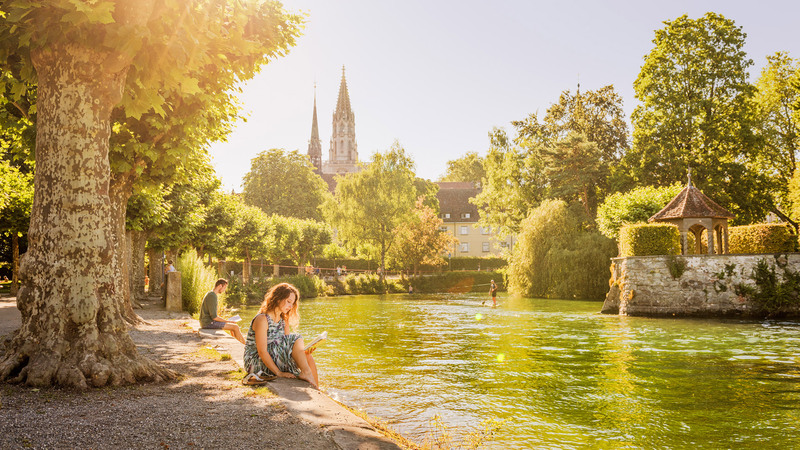 The city’s many students contribute to its relaxed atmosphere, and its picturesque setting on the shores of the lake and in the foothills of the Alps makes Constance a very attractive program site with a great variety of leisure opportunities. 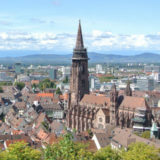 Due to the modern University of Constance, which is one of only 11 Germany Excellence Universities, the city has a fantastic infrastructure for international students and offers a wide range of cultural events, such as concerts, theater and film festivals, as well as a large number of bars, cafes, clubs and restaurants. Our course center in Constance is located in a modern, nicely furnished building, which offers all the conveniences of a guest house. All the classrooms are bright and large with up-to-date, high quality equipment. 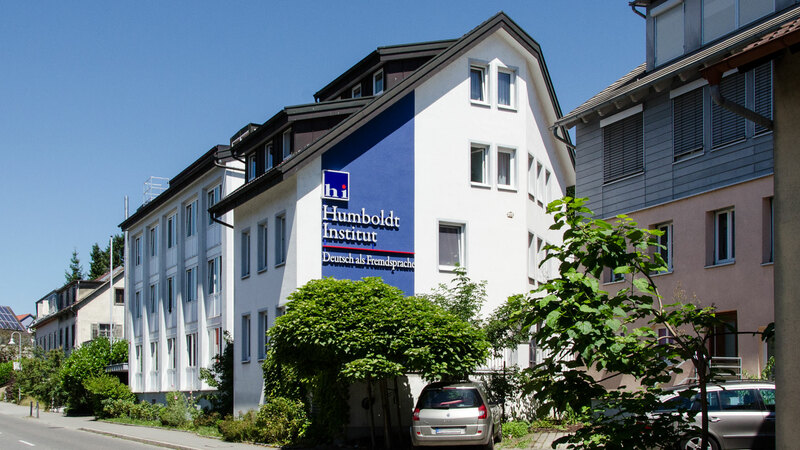 The Humboldt-Institut in Constance is a licensed test center for the TestDaF and telc exams. The German courses in Constance have a relaxed atmosphere because of the school’s convenient size and location, a mere 15-minute walk from Lake Constance and the University of Constance. The city center is also only a few minutes away by bus, but can also be reached by walking from the lake through a very beautiful park. Our course students are housed in the same building in which the classes take place. They can stay in single or twin rooms, each equipped with an en-suite bathroom. All rooms have free Wi-Fi access. When choosing students who will share a twin room, we pay attention that the roommates speak different native languages. This way we encourage them to speak and practice German with each other outside of the classroom. With this 360° panoramic image you get a first impression of the rooms in Constance. We serve three meals a day (breakfast, lunch and dinner) in the school’s dining room. Our kitchen staff offers a varied and healthy diet and cooks all meals fresh every day. A fruit basket is available throughout the day. Bed linen and towels will be provided and changed regularly. For your personal laundry there is a coin washing machine and dryer available. 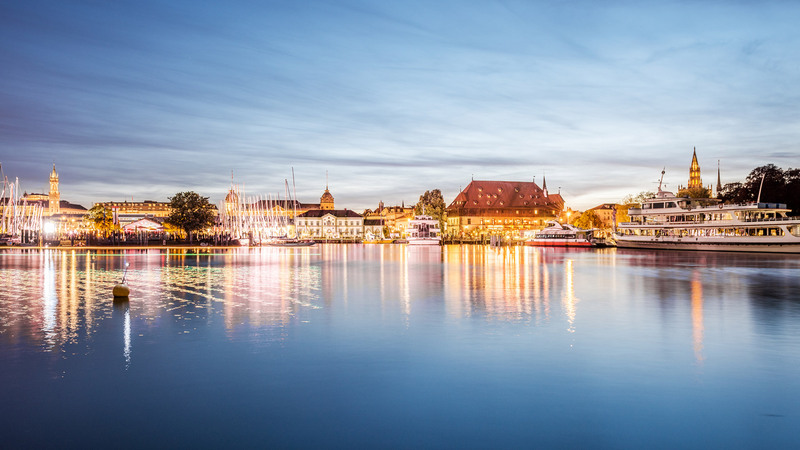 The city of Constance offers a variety of cultural events, shopping opportunities and sports facilities. We take our students at the beginning of their course on a guided city walk to learn about the different options available to them. We have a staff person in charge of organizing and accompanying leisure activities for our students who can also provide useful information and suggestions to help them plan their own free time. If our students have any special preferences — if, for example, they plan to see a particular festival, or to take part in the activities of a particular sports club — they are welcome to ask for our assistance. Entrance fees are not included in the course fee. Offers marked with * are not included in the course fee. Moreover, students at the Humboldt-Institut are entitled to participate in sporting activities organized by the University of Constance. During their term they can choose from about 30 different types of sports. 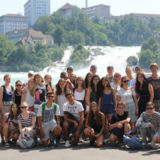 For our course students the same conditions apply as for the students of the University of Constance. 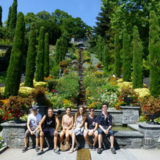 For more detailed information about the German lessons in the morning and afternoon, the leisure activities and excursions, we have put together an exemplary schedule for a week at the Humboldt-Institut in Constance. Click on the following link to download the weekly schedule for Constance. 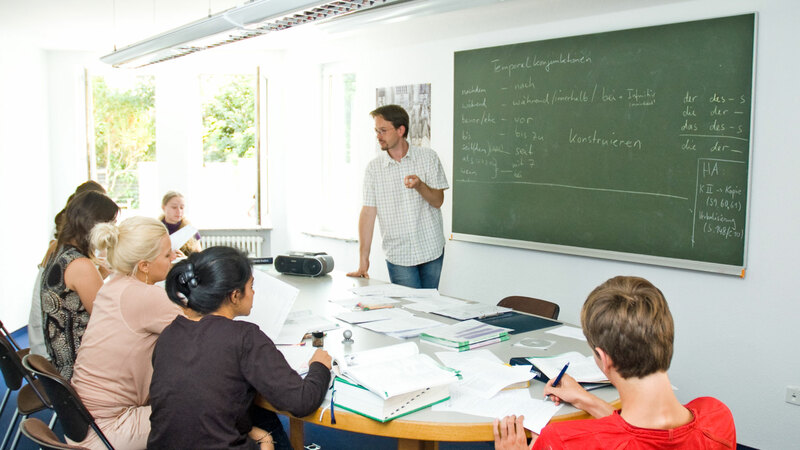 In Constance the Humboldt-Institut offers German courses as intensive courses and one-to-one courses. All courses are available as a full-package including accommodation, full board and after-class activities. All courses with housing accommodations include all lessons, course materials, housing, full board, daily activity program, weekly excursions (except entrance fees) and a certificate. Courses without accommodation and part-time courses include all lessons, books and a certificate. 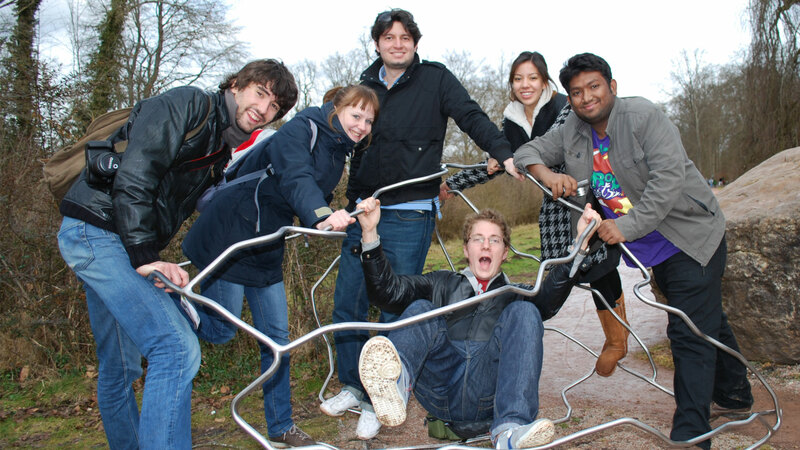 With the combination of courses in Berlin and Constance our learners have the opportunity to experience two uniquely distinct regions of Germany within a short amount of time. On the one hand Germany’s capital, with more than 3.5 million inhabitants is the largest and most vibrant city in the country with a large variety of sights and cultural offers. Constance, on the other hand, is an unhurried and laid-back city of 85,000 inhabitants and is rated as having the highest quality of life in Germany due to its gorgeous location on the shores of Lake Constance and its proximity to Switzerland and the Alps. Intercity bus transfers between the cities (Constance–Berlin or Berlin–Constance) is included in the course fee when booking two consecutive courses of a minimum of five weeks in each of the two cities. Discover the two course centers for adults in Berlin and Constance in this video. Enjoy watching! Our day of arrival is the Sunday before the course starts and the departure day is the Saturday after the end of the course. Arriving by your own car? The Humboldt-Institut is located north of the city center and has its own parking lot (free of charge). 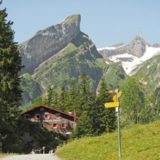 The Constance train station is 10 minutes by car or bus from the course center. If students wish to be picked up from the airport, we can arrange an airport transfer service for a fee from and to the airports Friedrichshafen (FDH) and Zurich (ZRH).